Desi Smith /Gloucester Daily Times. 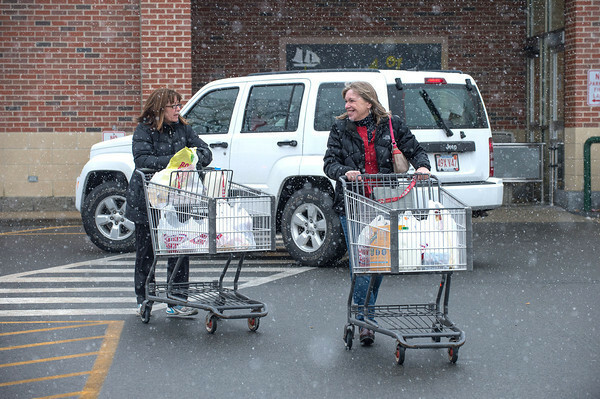 Friends Amy Larsen (left) and Lisa Bouchard both of Rockport, chat it up after picking up some items at Market Basket Saturday afternoon prepairing for the storm, that never really happened. February 15,2014.